Rudy Espinoza, an urban planner with a background in business, is passionate about finding creative ways to revitalize low-income neighborhoods in Los Angeles, where residents face systemic barriers to success and well being. 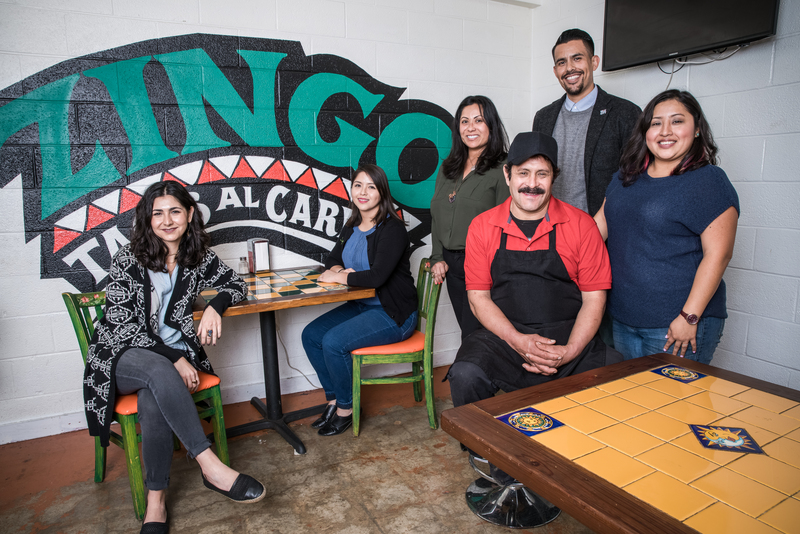 As the Executive Director of Leadership for Urban Renewal Network (LURN) based in Boyle Heights, Espinoza works to increase opportunities and resources for people to start and grow business in a way that is also good for their community. Food entrepreneurs including street vendors and corner stores are LURN’s core clients, and increasing healthy food options for local children and families is a natural community benefit. Espinoza notes, “People want to sell healthy food, but they don’t have the capital.” So LURN launched The Semi’a (Spanish for “seed”) Fund, with capital from FreshWorks, offering low cost loans and personalized business coaching to micro-entrepreneurs locked out of the traditional lending market. The Semi’a Fund, launched in 2015, takes a holistic approach to lending, looking not just at financials but at people as individuals and members of communities. Rather than simply a financial investment, Espinoza sees Semi’a as “a pathway for black and brown food vendors and owners to acquire the resources they need to take care of their families.” He envisions a community where these business owners can gain access to capital, invest in providing more healthy food, and enable community members to grow wealth and improve health within their neighborhood. In addition offering low cost loans, LURN provides tailored technical assistance and program structures to ensure success. For example, loan repayments are collected on a weekly basis rather than monthly because business owners found smaller payments easier to manage. LURN also requires all loan recipients to attend regular one-hour business coaching sessions every other week to ensure business owners are adequately accessing the support services they need to be successful.